Make managing your critical tools and equipment effortless. Keep track of your business critical assets from your phone. Don’t just check in/out your assets, monitor them in between too. See where your assets were last and who had them – so you never lose an asset! A unique record for each asset that includes where it’s been, who had it and when as well as all maintenance and service details. Scan an asset’s tag to view its record. The asset’s location will be automatically updated along with which member of your team scanned it and when. Start your free, no strings attached, 14-day trial now. "Seamless experience. itemit has made tracking equipment infinitely easier than the spreadsheets we’d previously been using. We can easily see what's out on location and with who. Less downtime, and less costs replacing rare items." "Can’t recommend this solution enough for ease, value and peace-of-mind! We now have full transparency of all our kit across the team." “We were looking for a simple, inexpensive solution when we came across itemit. The team have been really helpful in getting us off the gates. So far we have logged about a hundred items, along with their locations and links to user manuals." 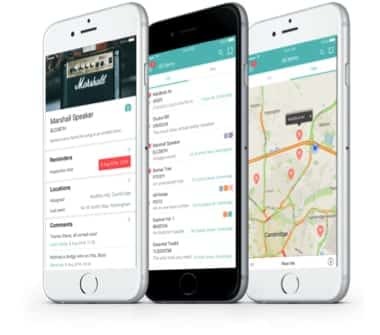 "Powerful reporting tools, a great mobile app and high quality QR tags provides a fast and highly accurate way of storing and tracking our most valuable assets plus fantastic customer service! It’s made life a lot easier. Could not be happier with the product!" "Great product with great customer service on hand whenever we need, highly recommend." "itemit has been such a great help to our company. It’s so useful for keeping track of all our IT equipment. We also use it to run reports which helps us with identifying which laptops might need replacing soon and which are the newest." "The system has allowed us to bring organisation and reduce the amount of small plant unaccounted for." "Delighted with this product. It is simple to use and particularly well laid out. itemit has lived up to all expectations. Exceptional customer service throughout has proven to be the cherry on the proverbial cake!" "We were struggling with keeping track on our equipment inventory, when to check up and repair. itemit helps in a lot ways. We are able to put in reminders for checkup, QR code tag our items, and it is easy to search for the tagged item’s data." "The system is user friendly with easy access on the go via the app. We use it for management of equipment placed with our customers. It is very helpful to have functions like notifications and reminders." "We use it for tracking our fleet of mobile devices. The mobile app makes life much easier than our old access database. In terms of time saved it is invaluable and means we can all just have the software on our phone rather than only 1 person being able to access the database at a time." "A really useful and extremely easy to use app. We looked at lots of options out there but this offered the most functionality in the most easy to use and practical way. It also meant the cost was really attractive too as it allowed us to use technology we all use every day so there was no need for further investment." “We have only been using itemIt for a short while but right from the start the guys have been extremely helpful and supportive. We needed something to catalogue and track our plant items and the Enterprise package has saved us time and money. The app is perfectly simple to use and has all the information we need instantly." IT equipment, computers, networking devices and high value business assets. Facilities Management, PAT testing and maintenance records stored securely in one place. Keep track of equipment and fixed assets using QR/RFID tags to uniquely identify your assets. Lab and medical equipment and care home assets. Easily keep track of assets across sites. Any communal outdoor assets for garden villages and institutes, green spaces and park assets. Assign kit to volunteers to keep track of who is responsible for what equipment. itemit is the asset management solution that you can afford. Plans start from just £9.99 per user/month. A secure, cloud-based asset management platform. Access your asset records from anywhere in the world, at any time. Automatic backups ensure zero loss of data. Consisting of a suite of apps built natively on iOS and Android, as well as a web portal for Enterprise users, itemit is the complete asset management for your whole team. Even with no phone connectivity, you and your team can access and update your all of your asset records – A must have if your team works in remote locations. 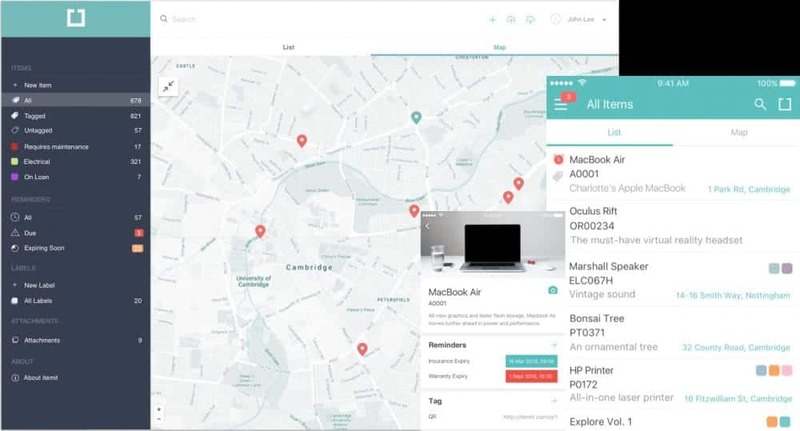 With itemit Enterprise you have the added benefit of the Reports tool, allowing you to filter and sort your assets by last seen location, maintenance due dates and more! Choose to add QR codes and/or RFID tags to your assets for advanced asset management and benefit from instant asset identification and improved accountability records. Moving from your existing asset management system to itemit couldn’t be easier. We offer a tailored data import service so you’ll be up and running in no time.